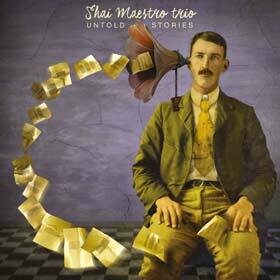 To record collectors Shai Maestro will go down – courtesy of The Untold Stories – as a true virtuoso and as his name suggests, an ingenious modern master, and a gentleman among pianists. His elegant phrasing sports a unique lilt, the kind of playful teasing of the line that only very few of the finest pianists are capable of. Much of the repertoire here is material that vehemently suggests that Mr. Maestro is a true original, half saint, half gypsy who plays music as he feels it. Try the opening of Maya’s Song, initially quiet, and then swooping upwards with a marked flourish, a formula that remains true for the duration. And has anyone announced himself so memorably in Painting, after the opening, climbing impatiently to ethereal heights? Shai Maestro’s playing is not exactly easy to listen to as he challenges, questions, teases, attacks and contemplates. But if ever a pianist had something to teach us, Mr. Maestro is that one. The pianist’s acrobatic rendition of Painting and the extraordinarily short Shades has to be heard to be believed. They’re dazzling! Mr. Maestro exhibits a level of technical agility that is virtually unmatched by any of his contemporaries. How sweetly and beguiling are the tone colours even though they take some time getting used to on a soundscape that is broad and seemingly never-ending. And then there his partners in crime – renowned soloists in their own right they think and perform as one with the pianist combining grace and expressive generosity as one with the pianist’s disciplined but by no means inflexible approach. 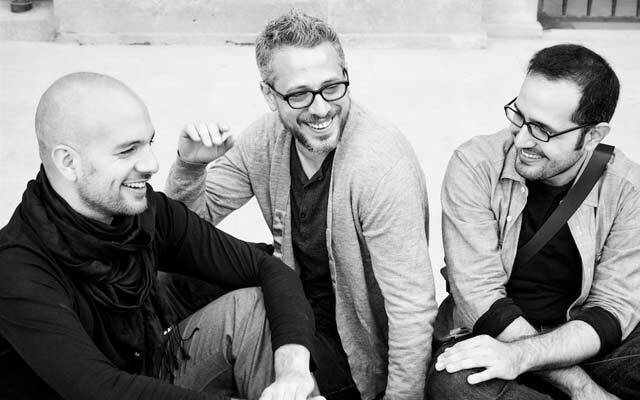 Both Jorge Roeder and Ziv Ravitz are dramatic, playful and abundantly lyrical. Jazzist with heart is how you might put it. Like Shai Maestro they are pre-eminent interpreters of this music. The rest of the repertoire inhabits the same pianistic and harmonic world as what has been mentioned earlier. Looking Back, a spectacular bookend to the album is, at its heart, Shai Maestro’s most inspired of melodies and yet it might be said to have been tucked into a corner that is so inconspicuous that it could easily be missed following, as it does, such extraordinary repertoire. The playing here is bewitching, a scampering of fingers on the keyboard that resembles a loping, bounding gazelle. It offers new insights to what a melody must sound like – spiralling, expressive and luxuriating in a burnished golden tone with a lovely cushioned bass. This is going to be one of the most successful disc in a long time by a pianist steeped, beyond his years, in the history of the music which he extends forward writing himself into a notable sound world all his own. Hear him play with a soaring sense of ecstasy complemented by blazing eruptions of passion, engulfed, as it were in virtuoso savagery that is deeply sulphurous and imaginative and yet, every now and then, displays muscle bulges and ripple movements as the music has a confiding repose in the elemental dolissimo con amore and shimmering tonal magic.